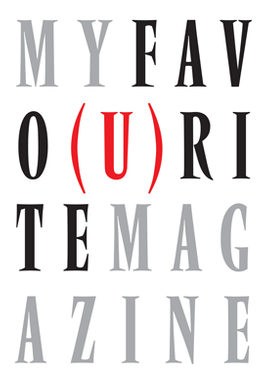 My Favo(u)rite Magazine features images and words contributed by 88 magazine makers from around the world, including senior names from the New York Times Magazine, Pentagram, Anorak, Harper’s Bazaar, Port, Bloomberg Businessweek, Eye and NME. A late addition was a contribution from Bob himself. The result is a unique publication featuring an eclectic set of great magazines with explanatory texts.